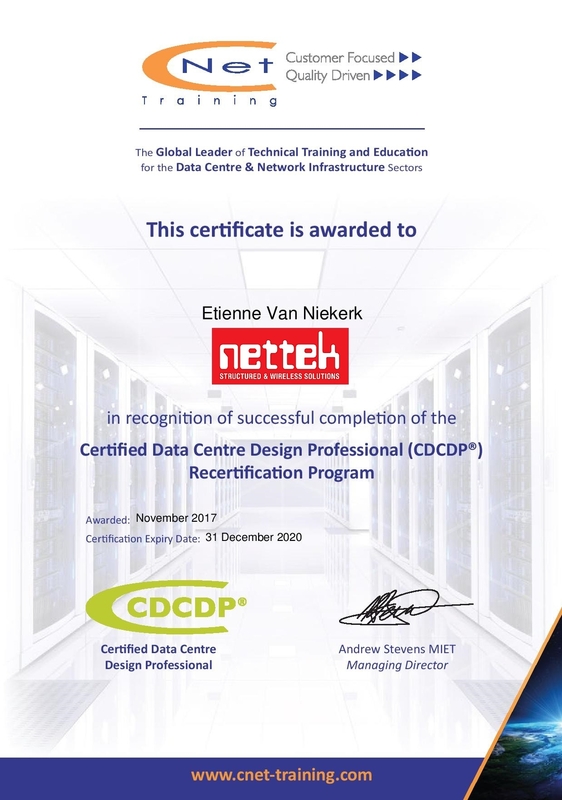 We are proud to announce that we have successfully re-certified as a Certified Data Centre Design Professional (CDCDP®). This is great news for you, our clients. The benefits serve us all. Not only have we refreshed our knowledge to reflect the latest technical advancements, standards and codes of practice within the industry, we are armed with new learning to bring our knowledge up-to-date with the very latest changes and technical developments within the industry, with refreshed awareness of the latest standards and codes of practice. We look forward to our continuation in providing this excellent service to you. Installing a hardwired computer network in your home or business is a great way to improve its network speed and stability. Wired networking continues to be more reliable and faster than wireless networking, in spite of recent advances in wireless. Can you afford to be without proper Network Design and Installation? No.! For the simple reason that you would want to avoid issues in future. Solving network issues is a costly affair. It’s not only about money….. it is about saving time, increasing productivity and preventing down-time. Click on the image for a larger format. Don’t delay, contact us today.! 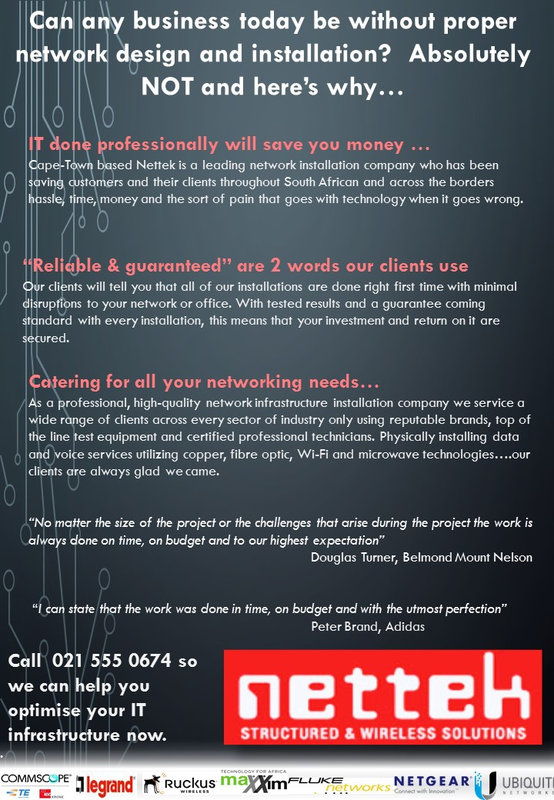 Receive a FREE network consultation within the Cape town / Jhb / Durban city metro-pole area. We will be posting interesting articles, news, specials, and much more. Do visit again. We encourage you to like, share, and bookmark this site. You never know when you will need an IT Network Cabling Specialist.